Ron Bernard is an Australian singer of popular music. He is captivating a growing audience around the world, from New Zealand to Russia, with his unique phrasing and timbre. He has studied in several countries, holds a PhD in Linguistics from Melbourne University, and sings in several languages. He performs popular and easy listening standards with a romantic and melodic jazz-inflected touch, and, occasionally, a hint of bossa. Besides his acclaimed work as a vocalist, his offerings as a lyricist are of today, tomorrow, and hark back to yesterday. His romantic and jazz-infused interpretive style calls to mind Johnny Mathis and Nat King Cole. Ron Bernard has a large, broad, and growing support-base from Dunedin in New Zealand to St. Petersburg in Russia. His followers span several continents covering in addition to Australia and New Zealand, the Americas through to Canada, the United Kingdom and Europe including Turkey, and also South Africa. A linguistically diverse support-base, which affirms the belief that music expertly phrased and well interpreted communicates its meaning irrespective of the language in which it is sung. This, Ron Bernard achieves, and in his own unique phrasing and timbre. Ron Bernard’s life journey is the celebration of art over adversity. From barefoot to singer to recording artist, he transcended fate through his singing ability. Supported by people who believed in his talent, he started his studies at drama schools, music conservatoires, and church choirs in his early teens. With the aid of music scholarships, he studied in Australia, New Zealand, Brazil, and the United States. It was through the opportunities available in the United States and the support of his adoptive family in Alabama that life really began for Ron Bernard, leading to successes as an individual, artist, and scholar. After completing a Master’s degree in Tennessee, he went on to be awarded a PhD in Linguistics from Melbourne University. Performing in several languages, Ron Bernard gives voice to his belief that music, language, and culture are intrinsically connected, music being a universal element, the bond that unites us all. Inspired by his passion for languages and melodic sounds, he sings in English, Spanish, French, Italian, and Portuguese. Ron Bernard is an artist to watch. 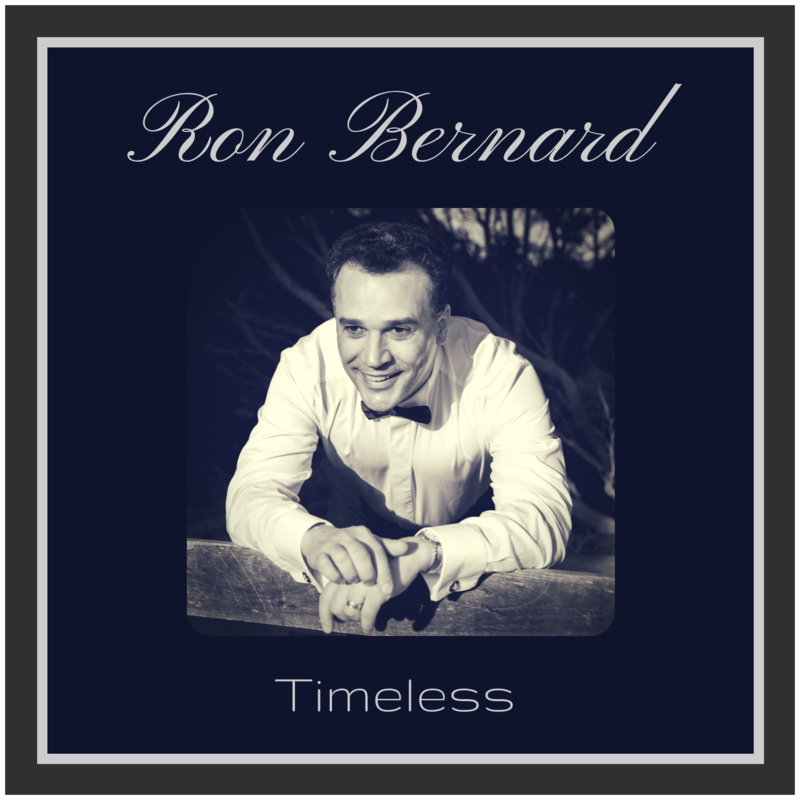 Ron Bernard’s latest release Timeless has inspired interesting reviews — “Unique phrasing and expert of the light touch, Bernard has an approach not only informed by his emotional IQ but a professional linguist’s understanding of communication” (Debbie Burke, Jazz Author, New York). His music resonates his freedom and cathartically embodies his life experiences in a revelry of his achievements. Sign Up to Ron Bernard’s mailing list for Music and News.